A motor control center (MCC) is an assembly of one or more enclosed sections having a common power bus and principally containing motor control units. MCC panels are used in various industries for supply of right amount of power to different sections with system protection. 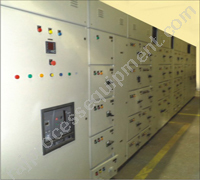 We manufacture a range of MCC panel in standard and customized sizes as per the requirement of our valued customers. 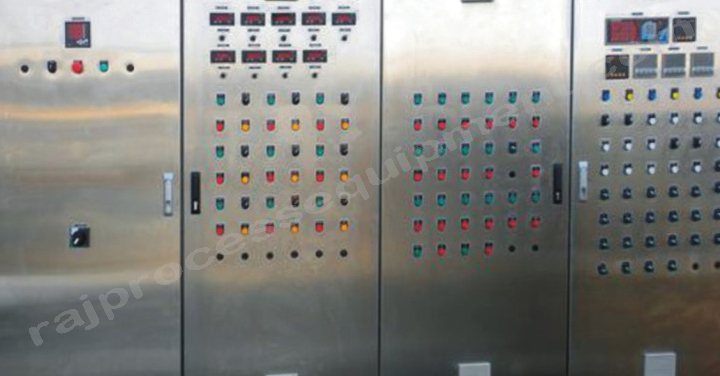 These MCC panels are widely used to satisfy the demands of different industries like refineries, chemicals and pharmaceuticals, food and beverages and many others. MCC are offered up to 1600 A operational current at 40 degree Celsius ambient Temperature in single and double front design for 50 kA short Circuit Withstand Capacity. The types of starters include Automatic Star Delta; Direct On-line, Soft Starters, Variable Frequency Drives, Stator Rotor Starters and Autotransformer Starters. These MCC panels can withstand extreme temperature variation and still deliver long lasting performance. We manufacture the panels with ingress protection for the range IP42-IP67 as per the client requirement. We also manufacture the Flameproof Panels and Non Flameproof Panels. These panels are manufactured in stainless steel construction and carbon steel construction. We do finishing of the panels up to 420 grit in case of stainless steel and seven tank process powders coating in case of carbon steel. The MCC Panels are available in fixed type in single / double front execution. we provide multiple power stabs which are also useful in supporting high power industrial motors.